I feel like out of no where, these number cookie cakes things came out of the woodwork! I saw them on Baking With Blondie’s Instagram a month ago and now they are everywhere. With Nick and my 13 year dating anniversary just happening (I know, it’s so silly we still celebrate that! ), I knew I had to make one for it. 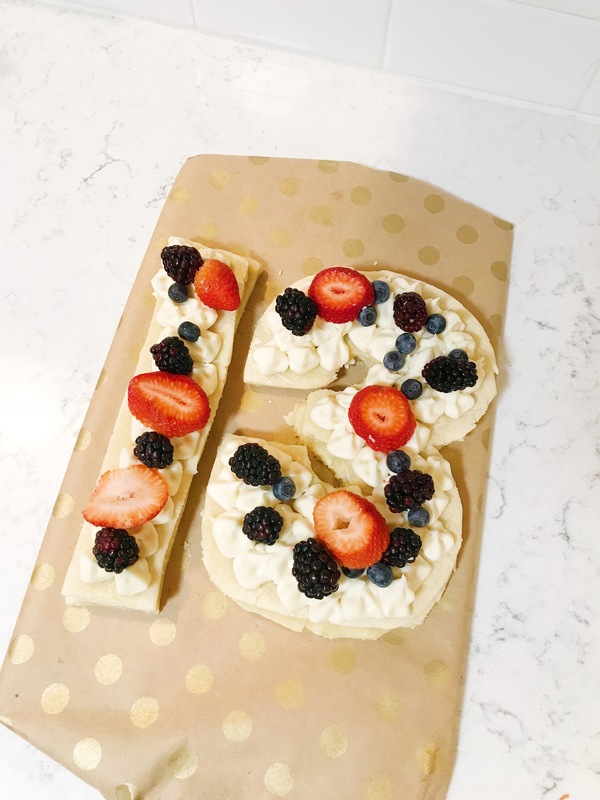 Nick has always made a funfetti cake on our anniversary, but since he had been traveling so much, I thought I’d take a stab at baking the dessert! Nick is obsessed with fruit pizza so I decided to decorate mine with fruit. I seriously can’t wait to make another so I can decorate with flowers. I found a 1 & 3 outline on google and copy and pasted it into a word document and printed it out. I then cut out the numbers and placed it on top of the dough and cut around it with a knife. 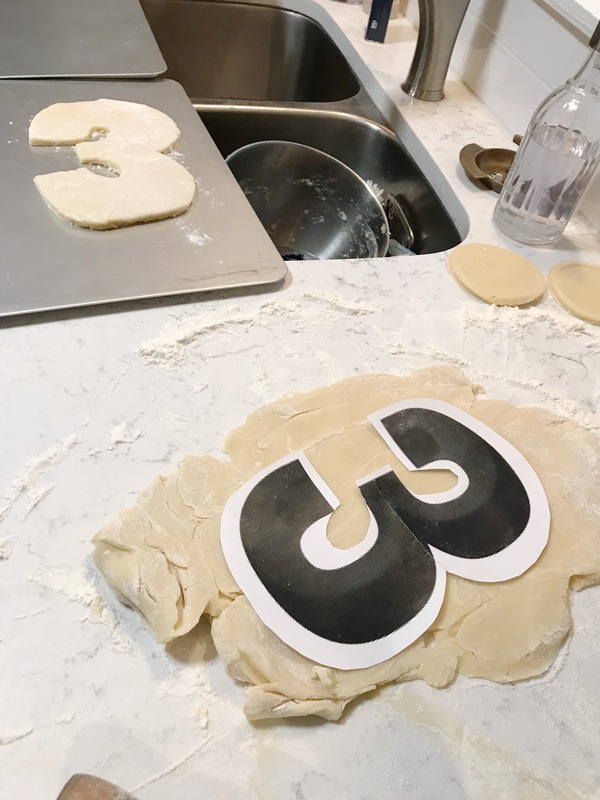 After making and rolling out the dough, cutting out the numbers, and baking them, I assembled them. You could very easily make them a 1-layer cookie but I chose to do the double stack cookie (because, why not). 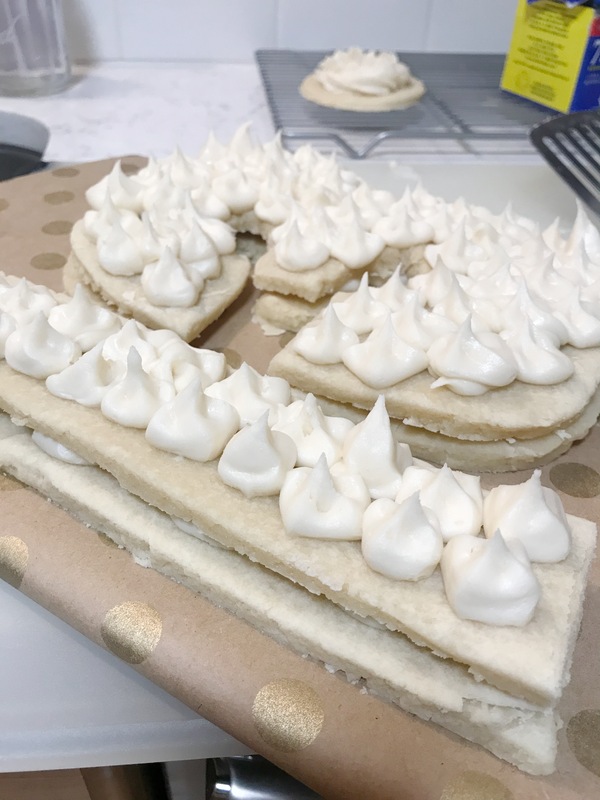 In between the layers of cookie, I did the same frosting dots shown below and then laid the number on top of the other. After that, I iced the top layer with frosting dots and topped with fruit. Nick was honestly so shocked when he got home and saw this beauty. It takes a little bit of effort but definitely has a big fancy factor! 🙂 Now, go find an excuse to make one of these for yourself!